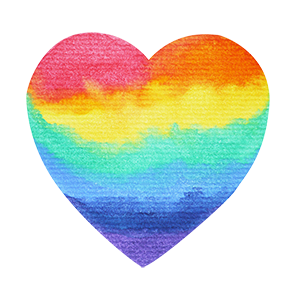 There are multiple national and local community programs available to Sinclair students, which are focused on providing LGBTQ+ support. Sinclair staff can help connect students to community resources. One program available with a ten year history of providing services and a movement of support in our local region is Brite Signal Alliance, a Sinclair chartered student group. Brite Signal Alliance is committed to promoting equality and raising awareness about diversity of sexual orientation and gender identity, including challenges faced by the LGBTQ+ community. The group offers support, education, and fun while promoting greater diversity awareness and change in the college and local community. This group meets every Wednesday from 5:00 p.m. – 7:00 p.m. in building 7, 7-003. Sinclair will have a presence at this year’s Pride Festival. Look for our table and visit with our school’s LGBTQ+ Liaison, Larry Lindstrom. We hope to see you there! Sinclair’s LGBTQ+ Support Services will help to make Welcome Week truly welcoming for all students! Look for our table at various “meet and greet” events, and/or check in with our LGBTQ+ Liaison, Larry Lindstrom. In honor of National “Coming Out” Day, Sinclair will host a series of events throughout the month of October to raise awareness on campus of LGBTQ+ issues. Plans include a “Sinclair Talks” panel, chaired by Professor Kara Brown of the IT department. Look for more details in the early fall. Sinclair will observe World AIDS day with a series of events in early December, including free HIV screening on campus. We are here to serve. You matter to us!